… which is located in the south central part of the state. From the triangle area, you can be in Seven Lakes in about 75 minutes depending on traffic. 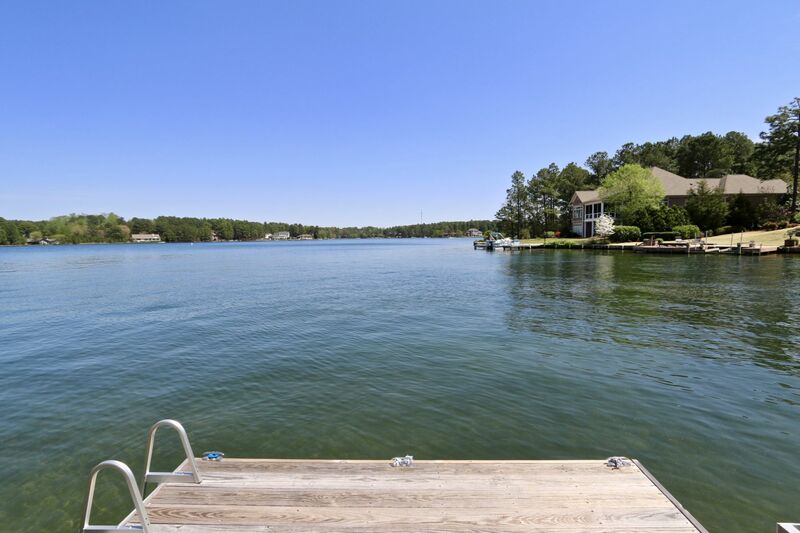 Imagine how easy it would be to leave your office on a Friday at 4:00 PM and be on the lake by 5:30! US 1 is a four lane highway that runs from the triangle to Moore County. Highway 15-501 branches off US 1 and comes about 12 miles from Seven Lakes. Once you pull through the gates at Seven Lakes you can leave the world in your rear view mirror and start to relax. Travel distance from the triad is approximately the same. US 220/ Interstate 73 runs south from the triad and intersects with Highway 211 East that will take you directly to Seven Lakes. Whether you are coming or going it’s a quick and easy trip. One of the many great things about this area is the proximity to the coast and mountains, which can easily be accessed in under three hours. There are also more than 40 golf courses in the area so finding wonderful golf courses to play is very easy. The focal point for golf is Pinehurst Resort and Country Club which has 9 golf courses, a spa, lawn bowling as well as tennis. Pinehurst # 2 has hosted three Men’s US Open Championships since 1999 and is a fixture for all levels of competition. 58 Home Sales that ranged in price from $115,000-$488,000 with an average sales price of $200,553 or $101 per heated foot. 28 Home Sales that ranged in price from $145,000-$292,000 with an average sales price of $216,090 or $98.49 per heated foot. 84 Home Sales that ranged in price from $167,700-$1,450,000 with an average sales price of $392,805 or $127 per heated foot. … began with the vision of one man while on a quail hunting trip to the area. 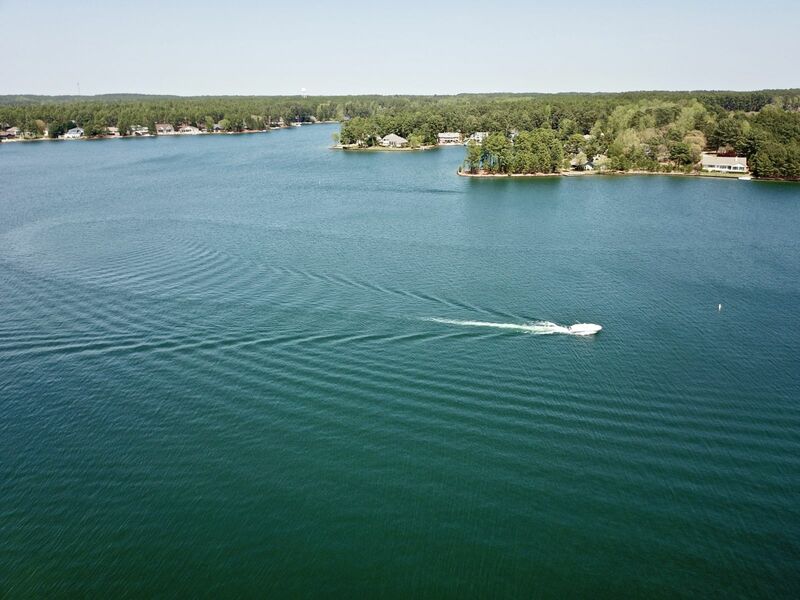 In 1971, Fred Lawrence began his quest to develop Seven Lakes by purchasing 1200 acres of land that would ultimately become the neighborhoods now known as Seven Lakes North and Seven Lakes South. 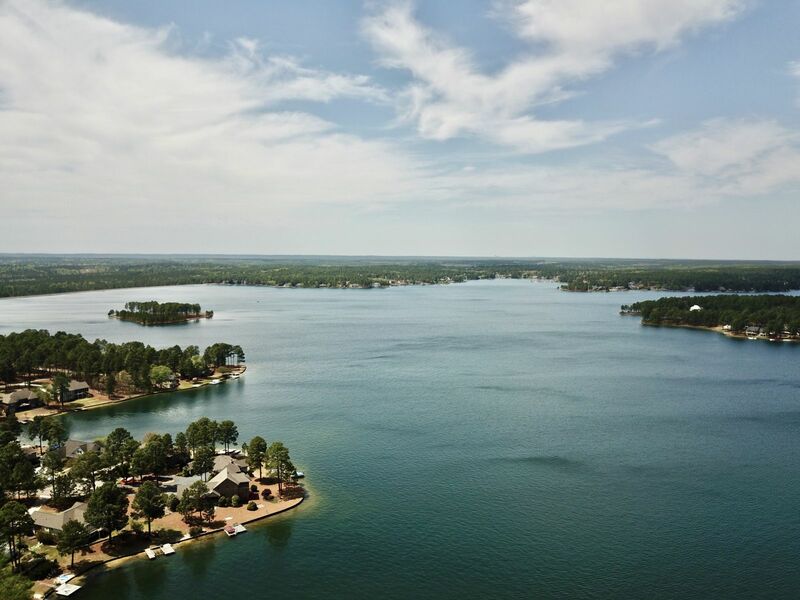 In 1972 Fred Lawrence and Longleaf, Inc. received a charter from the state to develop Seven Lakes. By 1973, work had begun on the North and South neighborhoods and an additional 400 acres of land was purchased and construction began on the 18-hole golf course we know today as the Seven Lakes Country Club Golf Course. In 1976, Lawrence began acquiring land west of NC 211 that would eventually become the neighborhood known as Seven Lakes West. The land was purchased from T. Clyde Auman, Billy Johnson and Allan MacDonald. Originally there was a 5-acre lake on the west side property. Mr. Lawrence hired an engineering firm to determine the feasibility of expanding the lake and designing a dam. Approximately 30-40 springs feed Lake Auman and testing results indicated that there was sufficient water to fill the lake. Joe Cline was a partner of Fred Lawrence and was also instrumental in the development of Seven Lakes. The two worked side by side on the development of the roads, buildings and other amenities. They even had houses next to each other on the lake for many years. Joe Cline drove my parents through the woods to pick their lot before Lake Sequoia was even built. His dedication and hard work should never be forgotten. 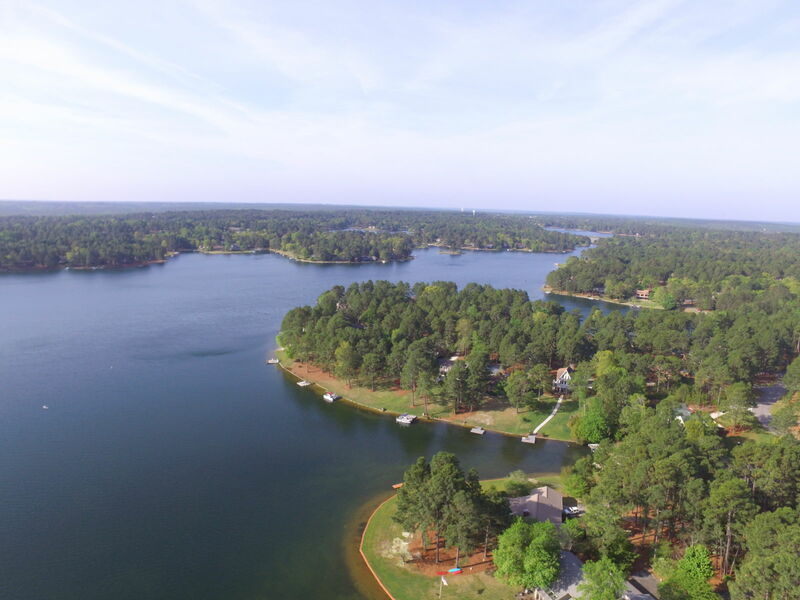 Today, Seven Lakes has a population of more than 5,000 and, if the area were to incorporate, would displace Aberdeen as the third-largest municipality in Moore County. The original gated community of Seven Lakes North & South stands at 1,545 acres with over 1,500 residential lots. Across the road, Seven Lakes West is the larger of the two gated communities with more than 3,000-acres and 2,000 lots. The earliest homes were built on the community’s north side primarily as weekend and summer retreats on seven spring-fed lakes — the largest being Lake Sequoia, at 200 acres. As the community grew, amenities were added to includd horseback riding stables, swimming pool, parks, tennis courts, a community clubhouse and lakefront beach areas. “He was a great man with a heart of gold. I loved him and most everyone who ever met Fred loved him too,” said Michelle Bolton, a Charleston-based photographer whose father purchased a lake-view lot in the early days of the community. She also owned several homes in Seven Lakes. On July 27, 1979 Seven Lakes West was officially born. On that day Fred Lawrence, the original developer, signed the first Seven Lakes West covenants into being. By the end of the seventies the land surrounding what would become Lake Auman, was surveyed, subdivided and many of the lots sold. The shoreline of the future lake was marked by a laser so willing buyers could feel confident they knew where the lake would touch their properties. Originally there were 200 presale lots that sold to investors for $10,000 each. The first lake lots were priced at $35,000 to $50,000 and interior lots sold for $10,000. The dam was begun in earnest in 1983 and was completed and dedicated in 1986 but not without issues. Mr. Lawrence had invested over $9,000,000 in the community when interest rates and gas prices skyrocketed. Some serious financial problems ensued when these added costs were coupled with engineering changes for the dam were required by the Corps of Engineers. Unfortunately, there was an interruption to his dream. But fortunately, following some upheaval and reorganization, Seven Lakes West was able to recover. 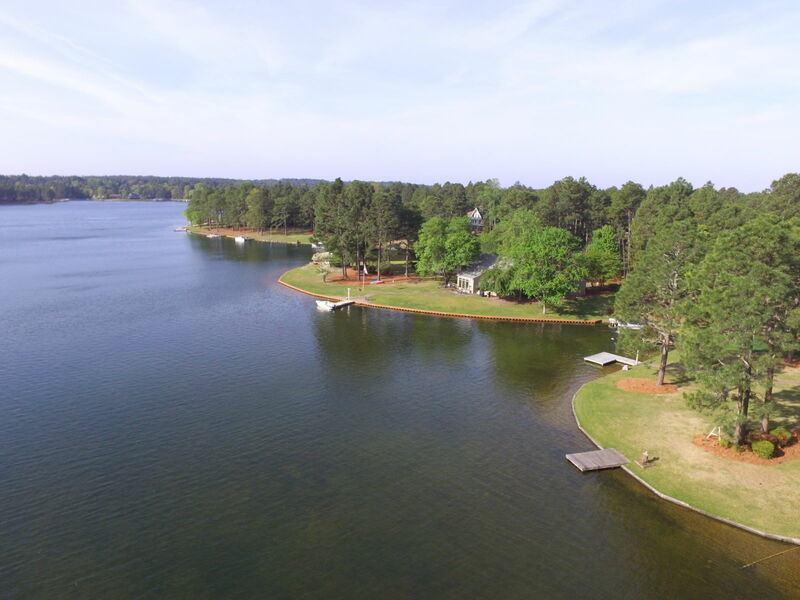 The lake was named after T. Clyde Auman, a West End farmer, peach grower, pine straw entrepreneur and former state legislator, who sold or traded Lawrence much of the land that is now Seven Lakes West. It took Lake Auman some eight years to fill and finally reached capacity in 1994. During the final two or three years, filling was aided by several hurricane deluges. 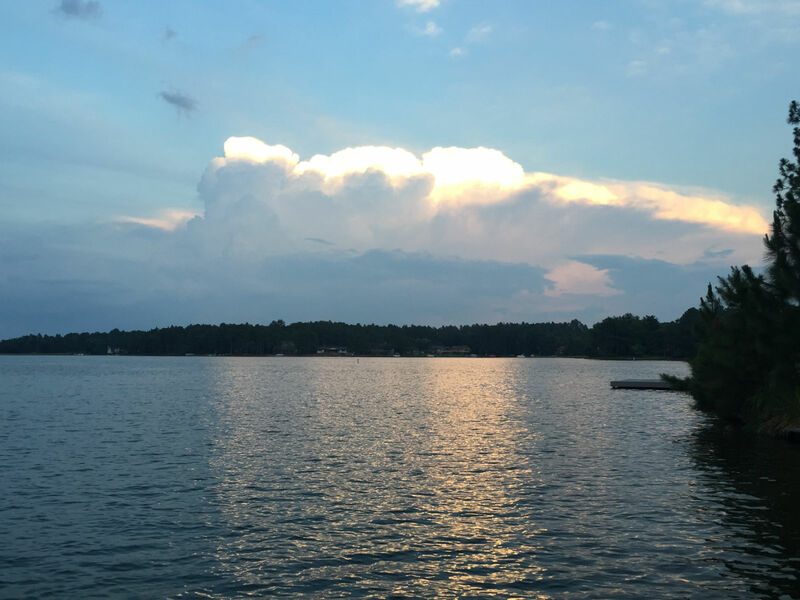 Fred Lawrence always saw the village of Seven Lakes as one community—North, South and West—with the lake being the primary recreation source on the West Side, golf amenities on the South and West side, and the remaining recreation facilities and meeting areas on the North side. Johnson Point is named after Billy Johnson, a West End real estate entrepreneur, from whom Fred Lawrence acquired the remainder of the land that became the West Side. In the early 1990’s the Seven Lakes West Landowners Association acquired the land to construct a community center and sports complex from the McDonald family. The West Side Park Community Center (WSPCC) was completed after the millennium and now serves the community in a variety of ways. Also at the turn of the century, the Seven Lakes West Landowners Association gained ownership of Lake Auman from the developer. 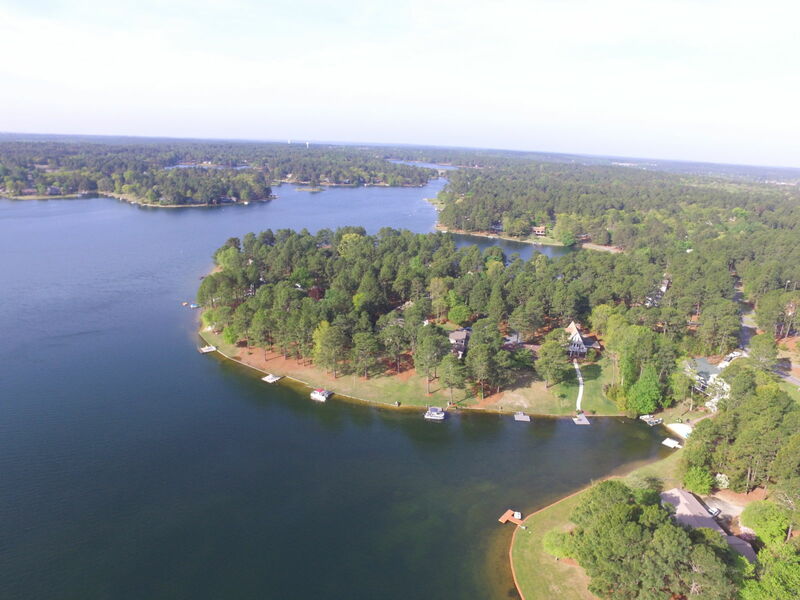 about Seven Lakes and the Pinehurst area. 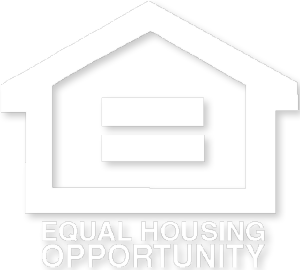 Copyright© 2019 Everything Pines Realty | NC Online Marketing by Tangram Media Inc.